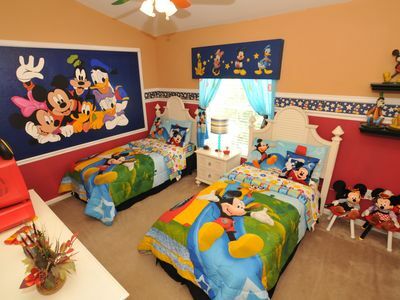 Luxury Disney 7 Bedroom Villa, 4 King Suites! 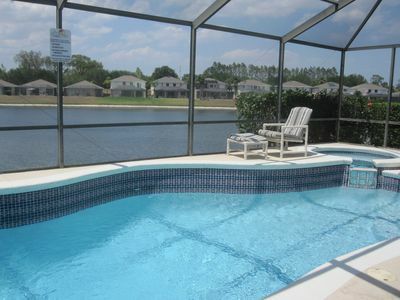 This executive vacation home is located in the prestigious Emerald Island Resort. 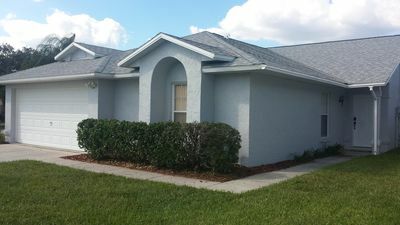 It is close to Disney and convenient to all amenities. 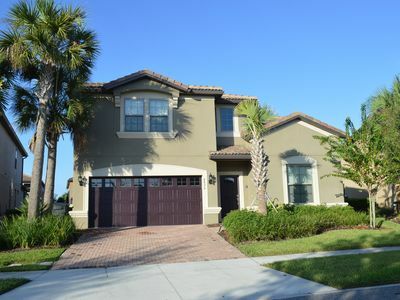 The villa has 4 King master suites and 1 Queen master bedroom so is perfect for larger families or multi families and friends sharing to save money on their vacation. 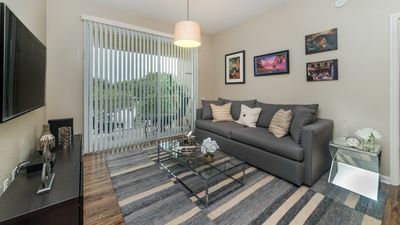 On the main floor you will find a family room, a family kitchen, and a dining room. 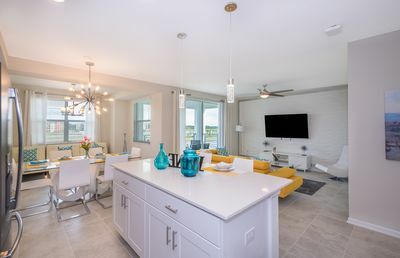 The spacious gourmet kitchen has granite countertops and all the appliances and tableware that you will find handy to rustle up quick snacks or full family meals. 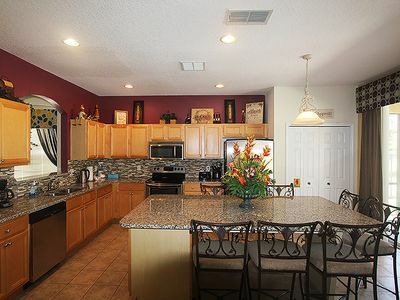 The huge granite central island in the kitchen is perfect for breakfast and casual family get together. 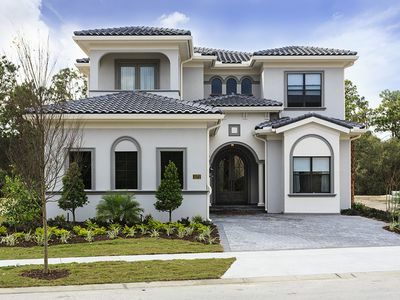 This vacation home has 7 bedrooms, 4 of them are King master suites. 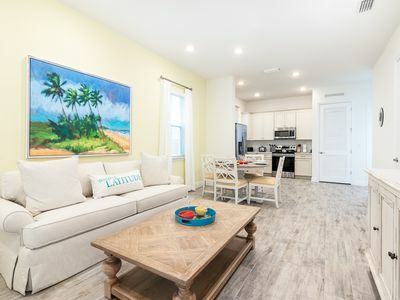 The first King master suite is located on the main floor, with a King size bed, ample drawer and hanging space, a walk-in closet, a ceiling fan and a TV. The master ensuite has a large tub bath, walk in shower, and plenty of counter space. 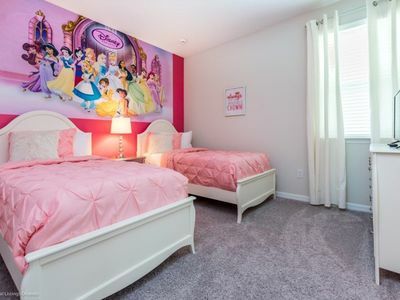 The Queen master bedroom is also located in the main floor. Also on the main floor is the laundry room with a full size washer and dryer pair, iron and ironing board. 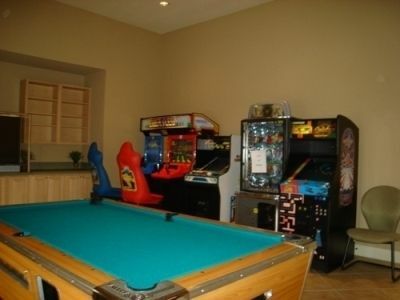 And to top it off there is a really cool game room with a pool table, an air hockey, a TV and a football table. 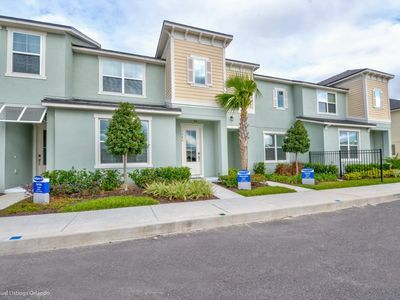 The second floor hosts the other 3 King master suites with their own private bathrooms. There is also a family bathroom, and two more bedrooms with a bunk bed and a twin bed in each. All 7 bedrooms have their own wall mounted TV. There is also a nook in the hallway on the second floor, its desk and seating provides a quiet space for reading and relaxing. The entire second floor, including all bedrooms and hallways, is upgraded with environmentally friendly cork flooring. In total this villa can comfortably sleep up to 16 guests (adults and children) plus two infants. This villa comes with complimentary WiFi internet connection and a landline telephone for free local and international calling. 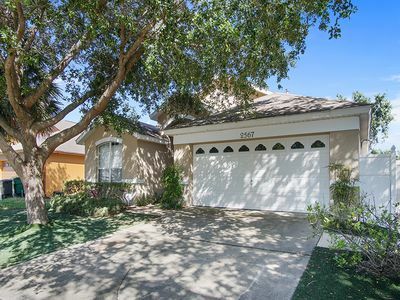 This fantastic villa has an extended lanai complete with ceiling fans for additional comfort, and a private swimming pool with a bubbling spa for your enjoyment. This villa has one of the largest pool decks in the Emerald Island Resort, with an outdoor shower, a gas BBQ grill, plenty of tables, chairs and sun loungers all within a protective screened area. 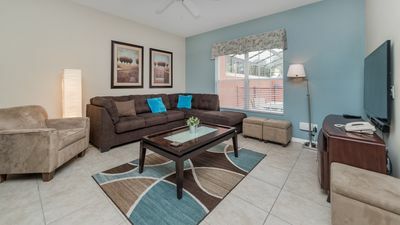 This is a perfect retreat for those days when you want to take a break from the parks to enjoy the warm Florida sunshine and relax in the shade. 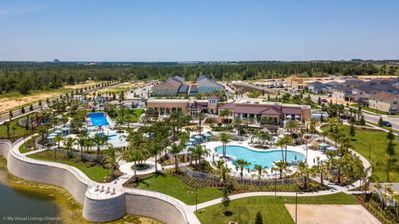 Emerald Island Resort is one of the most popular vacation home communities in the Disney area. It is a beautiful resort with gorgeous landscapes and wonderful views, it is second to none in terms of location and free community facilities. 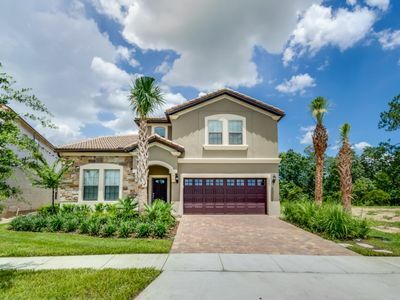 Clubhouse, Tiki bar, Private cinema, Sundry shop, Cyber Cafe (small charge) Concierge, Community pools and hot tubs, Game room, Fitness room, Nature walks, Ponds, Kiddies play areas, Sauna, etc. The list goes on! 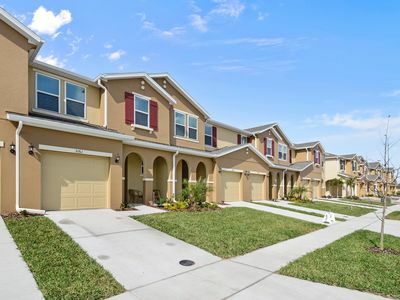 And all of this are within 5 minutes of the Walt Disney theme parks and famous US 192 where all the restaurants, shopping and dining that you and your family can enjoy while vacationing. 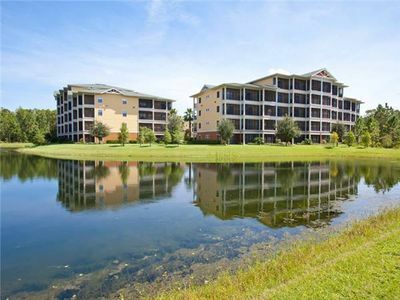 BRAND NEW UNIT AND RESORT!! GAMEROOM, JACUZZI, 2 MASTER SUITES!